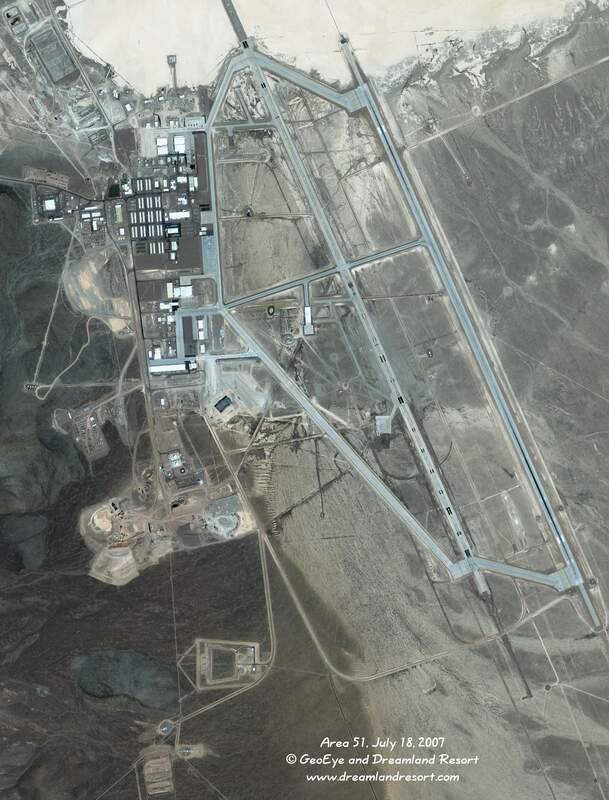 This 2 meter high-resolution satellite image of Area 51 shows the entire main base. Photo taken by the IKONOS-2 satellite on Wednesday, July 18, 2007 at 11.43am PDT. © 2007 GeoEye and Dreamland Resort. Publication outside of the Dreamland Resort web site is strictly prohibited.